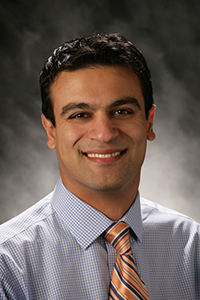 Dr. Ali Hallaj-pour is thrilled to return to the Bay Area to practice pediatrics in Fremont. He completed his undergraduate degree with a Bachelor of Science in Cell Biology at the University of CA, Davis and received his medical degree from Drexel University College of Medicine in Philadelphia. His pediatric training was completed at Miami Children’s Hospital in Miami, FL. Dr. Hallaj-pour enjoys all areas of pediatrics with special interests in adolescent medicine, seizure disorders and behavioral pediatrics. He is fluent in English and Farsi.